It looks like a Bavarian castle that’s surrounded by cedar forests and snow-capped peaks. It feels British with its colonial decor, precise service, and lawn sports. But there’s no doubt that you’re in India with the addition of local Himachali dishes in the restaurant, the Himalayan rice scrubs in the spa, and the temples you passed upon your arrival. 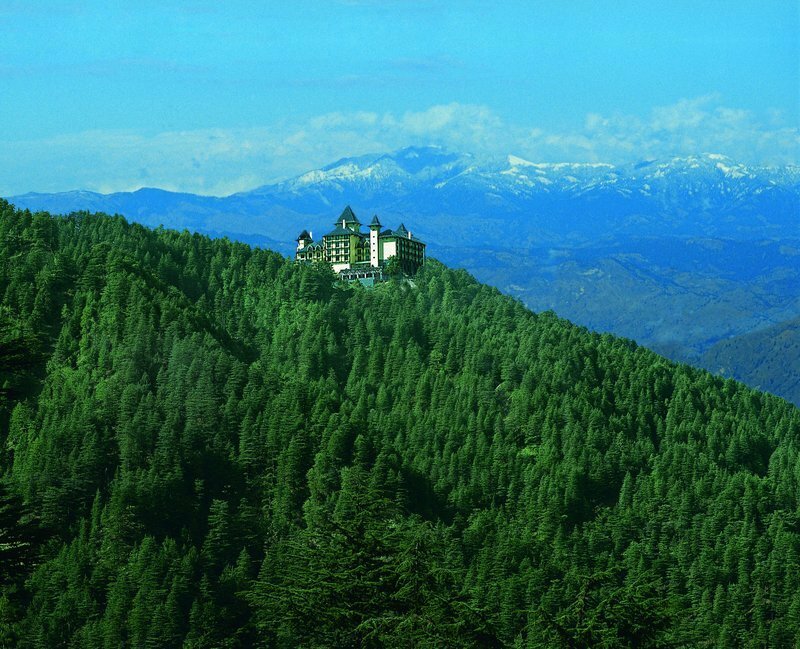 Welcome to Wildflower Hall, Shimla in the Himalayas. 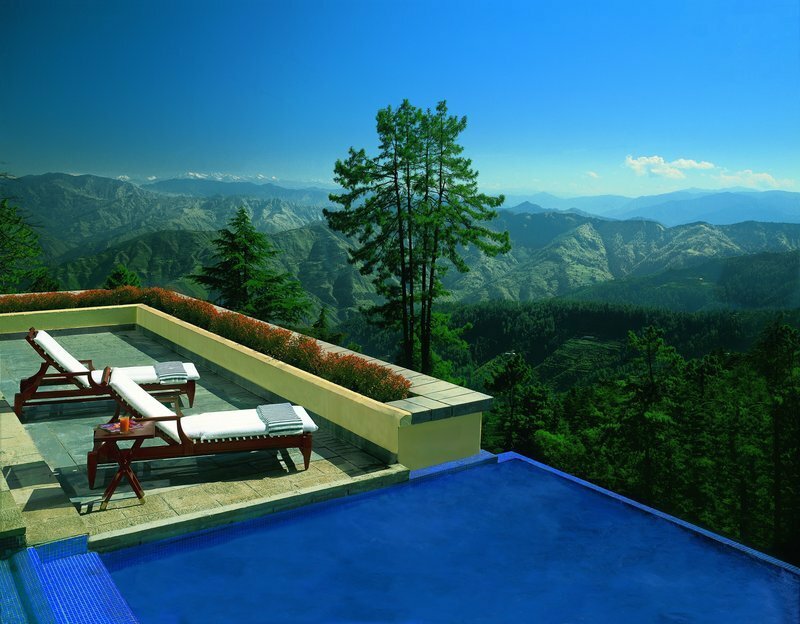 Wildflower Hall is a grand hotel in the Western Himalayas. The hotel used to be the summer residence of Lord Kitchener, the Commander-in-Chief of the Indian Armed Forces. Its 23 acres, full of landscaped gardens and those aromatic cedar trees, sit 8,250 feet above sea level. The property is part of the Shimla Reserve Forest Sanctuary, an area that’s home to untouched woods, apple orchards, and barking deer. They’re both in Chharabra, a small village in between the Yamuna and Satluj Rivers. It’s famous for being the summer retreat of the president and the summer residence of the Governor of Punjab. The city of Mashobra, hill stations, and lots of temples are nearby. Beauty is everywhere you look here in Northern India. Your journey to Wildflower Hall was a slow one. After flying to Chandigarh, you headed northeast into the state of Himachal Pradesh. It was a three-hour drive, including a tea break, along the Hindustan-Tibet Road from there. You saw the mall—a pedestrian shopping street lined with the Gaiety Theatre and St. Michael’s Cathedral—when you reached Mashobra. You promised to return and then headed even higher into the mountains to find your hotel. The impeccable service begins when the manager himself offers you an iced apple tea as a welcome drink. You can see carpeted corridors and watercolor paintings of flowers and fruit as you check in. While your bags are whisked away to your room—a mountain view one from where you can watch the sun rise over the Himalayas—you’re taken on a little tour. The Restaurant features a glass conservatory and an outdoor terrace. The Cavalry Bar has antique war memorabilia and an impressive single-malt list. Crystal chandeliers hang above the indoor pool in the Oberoi Spa. Plus a second pool—it’s actually an infinity-edge hot tub—instantly becomes your favorite spot of all. You’re the queen of the castle, perhaps all of the Himalayas, now.